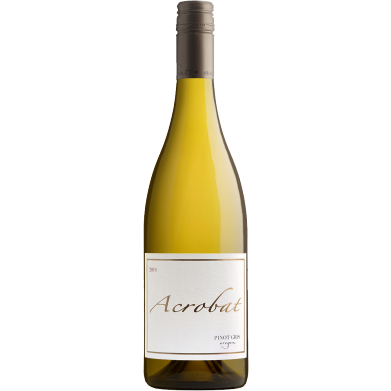 ACROBAT BY KING ESTATE PINOT GRIS for only $12.19 in online liquor store. The 2014 vintage is fresh and lively with citrus notes that melt into riper pear and floral notes in the middle. Racy acidity combines with a soft sweetness for an extended finish highlighted by damp minerals. The 2014 vintage was fermented in 100% stainless steel, temperature controlled tanks with native and cultured yeasts and sur lees aged for 2 months prior to bottling.